The name Chanel is synonymous with luxury for women. And while its famous tweed jacket remains firmly out of reach to the average male consumer, Chanel has been quietly courting its core audience’s boyfriends/husbands with the Monsieur, a wristwatch launched in 2016 dedicated to men. This year, the French fashion house jazzes up the courtship with the inclusion of a pocket watch and a table clock to the collection. When it was launched in 2016, the Monsieur received glowing reviews. For one, it featured a unique combination of retrograde minute and jumping hour. For another, the manual-winding movement, visible on the caseback, was a beauty, constructed to reflect Chanel’s famously chic aesthetic. 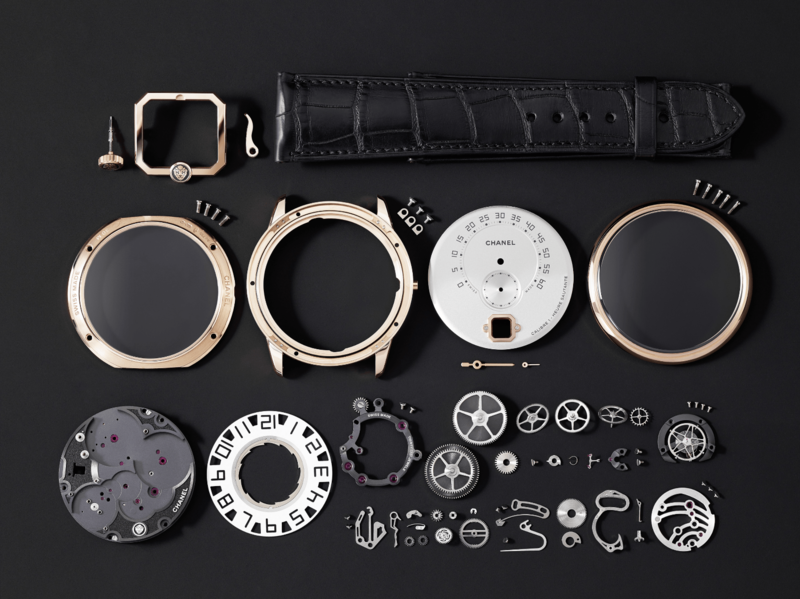 Designed, developed and assembled entirely at its manufacture in La Chaux-de-Fonds in Switzerland, it boasted wheels created to Chanel’s specifications by independent watchmaker Romain Gauthier, whose business the French maison has secretly bought a stake in to bolster its manufacturing capability. Venturing into hitherto unexplored territory – men’s luxury, not counting the fragrances – created plenty of buzz for Chanel, which launched its first watch in 1987 with the Premiere. Today, the Monsieur is one of the pillars of Chanel’s haute horlogerie, the sole but proud masculine representative in a family of feminine timepieces that includes the groundbreaking J12 ceramic watches and, most recently, the Boy.Friend that blurs gender boundaries. This year, the Monsieur wristwatch comes in a beige gold case with two dial options: the non-limited opaline silver dial and the black Grand Feu enamel version with a miniature lion sculpture that recalls the lion symbol of Venice, one of Mademoiselle Chanel’s favourite cities. The latter is limited to 20 numbered pieces. The lion is also featured prominently in the chronosphere clock, where a pride of them, crafted in bronze, is seen holding up a glass sphere containing a futuristic-looking clock. Limited to five numbered pieces, this magnificent table accessory is created in collaboration with Swiss clockmaker L’Epee 1839. Monsieur also welcomes a pocket watch, endowed with Calibre 2.2, a new version of Calibre 2, Chanel’s second in-house movement that was first featured in the Premiere Camelia Skeleton in 2017. A unique piece, it comes in an 18k white gold case set with 57 baguette diamonds.